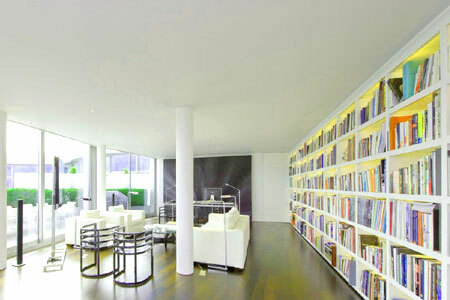 Library home staging is used to enhance the appeal of a reading room in any residential property. While home libraries are rare and only found in select high-end pieces of real estate, book collection rooms are certainly unique features that can distinguish a luxury property from its competition. Home libraries are not typical features for home stagers to deal with on a day-to-day basis. Therefore, many stagers are not quite sure how to enhance these unique spaces if and when they come across one during a work assignment. Likewise, do-it-yourselfers might have a difficult time finding quality information about how to optimize the appeal of a reading room in their home or apartment when preparing to sell the property. This instructional tutorial addresses both concerns by providing expert guidance on staging a home library for professionals and DIYers alike. We will explain the best practices for library room enhancement and caution readers on the common pitfalls of staging a library space in any saleable parcel of real estate. 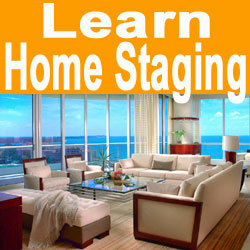 What is Library Home Staging? A home library is a dedicated space that is used for storing books, periodicals and other types of media for personal consumption. The room may also be called a reading room, since it is a quiet personal space to enjoy literature in an environment that facilitates easy absorption and enjoyment of the printed material. Home libraries are not common features found in residential properties and when present, are almost universally located in the largest and most extravagant properties. There are some exceptions to this rule, but these exceptions are truly few and far between. Home libraries serve 2 distinct purposes. 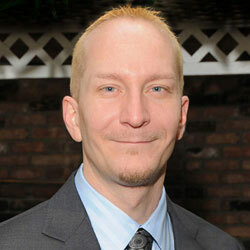 The first is to maintain a healthy environment for the written material for long-term storage. Second is to create an atmosphere in which readers can peruse the material easily, find the subject of their search readily and enjoy the volume in a tranquil and thought-provoking space. In order to properly stage a reading room in any home, it is vital to keep both of these important criteria in mind and address each as part of the home staging design. First, it is crucial to make sure that the room is clean, dust-free and properly set up to healthily preserve books from all manner of threats. This might entail improving air circulation, monitoring temperature, reducing humidity, implementing fire-controls or performing other environmental changes that should be evaluated by a professional in book maintenance. If the library is small and not used for storing expensive volumes, these latter guidelines become less important. Shelving should facilitate easy searching and discovery of written materials. There should be some organization system in place and all shelves should be easily accessible to readers. Lighting should be bright enough to find books and read, but must not be of any variety that might endanger the life of the written material due to fading, drying or UV trauma. There should be a variety of direct, indirect and flexible lighting options in the room, including many that can be easily controlled while seated and reading a favorite selection. Books can become objects d’art, simply by placing them in eye-catching regions of the room, covers outwards. Meanwhile, other art and accessories will help to balance the staging design in order to provide complete aesthetics to the space for maximum reader enjoyment. The floor should be soft and comforting, featuring lush rugs or other appealing material choices. Window treatments should reflect this sensibility as well, and should provide protection for the valuable literary contents of the room from potentially damaging natural lighting sources. There should always be comfortable seating present, as well as a desk or two and a variety of table types for stacking books and holding necessary materials for study. Many people enjoy music in the library, or may like to view film or video relating to a literary source, so some form of entertainment system should be present. Much of the world’s great literature is cataloged online, so a computer should be within easy reach for access to ebooks and other internet literary sources. A quality computer system can fulfill the role of information center, as well as audio/video entertainment device. Books and shelves are often not dusted regularly, making the entire room seem untidy and distasteful. Seating is often not arranged for practical use or is not convenient to tables, desks or lighting options. General aesthetics are neglected for the sake of pure functionality, making the room seem cold and stark. Libraries do not have to look old and classic in presentation. They can be modern, updated and appealing to a new generation of readers who prefer their reading rooms to reflect a more contemporary look and feel not typically embraced by yesterday’s book enjoyment spaces. Remember that a library room still needs to reflect the character of the house and should never be an aesthetic island in an otherwise cohesive residential staging design. However, this must be accomplished while preserving the unique functionality of the space for its dedicated purpose and protecting the stored volumes for future generations to come.